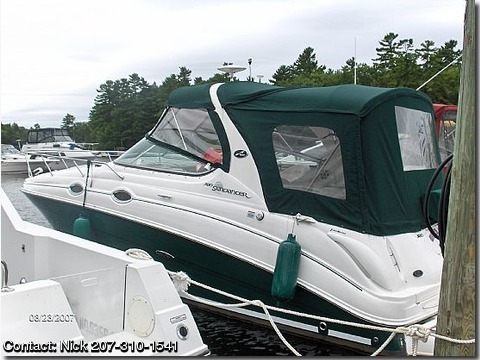 This very popular Sea Ray 280 Sundancer is in immaculate condition, no cracks, scratches or stains. Powered by Twin 4.3L MPI Merc cruisers with Twin-220HP 64 hours, with Alpha 1 out drives. This boat has never been in Salt Water. Large Cockpit area with wet bar and sink. Rear bench seat flips up for even more room, port side L Shape bench converts to lounge. Grab hooks and Life Jackets included!